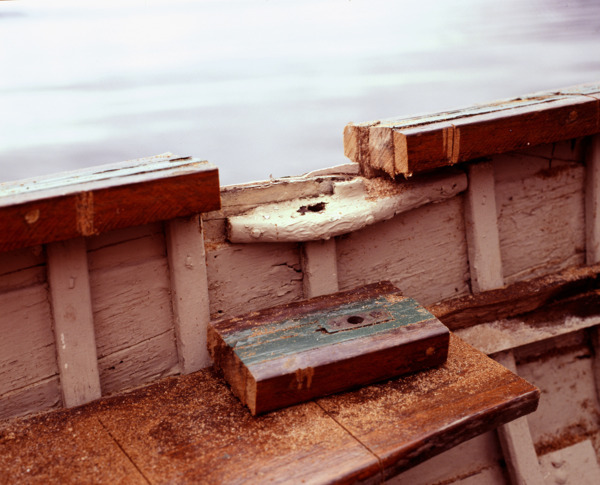 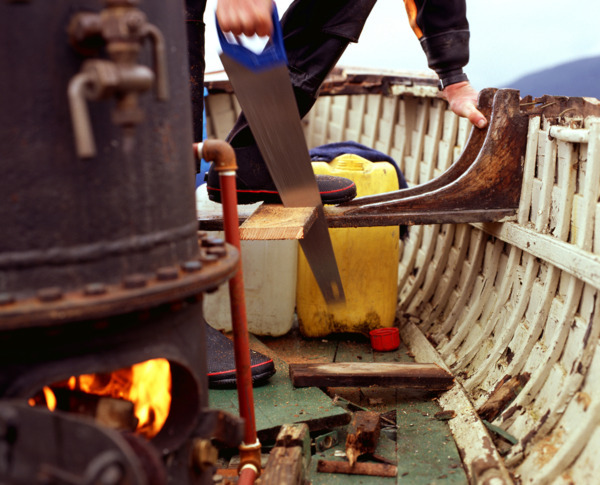 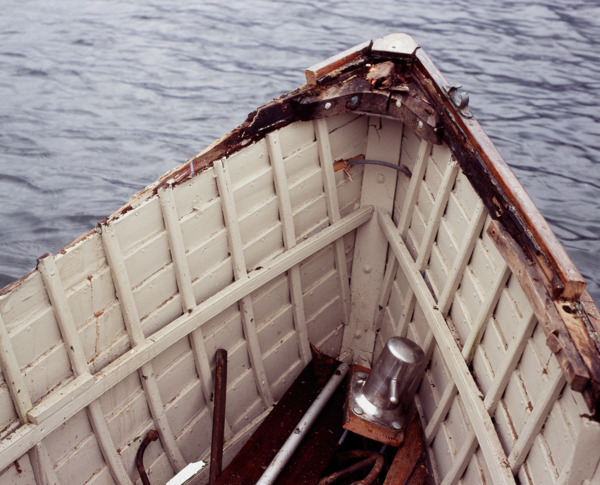 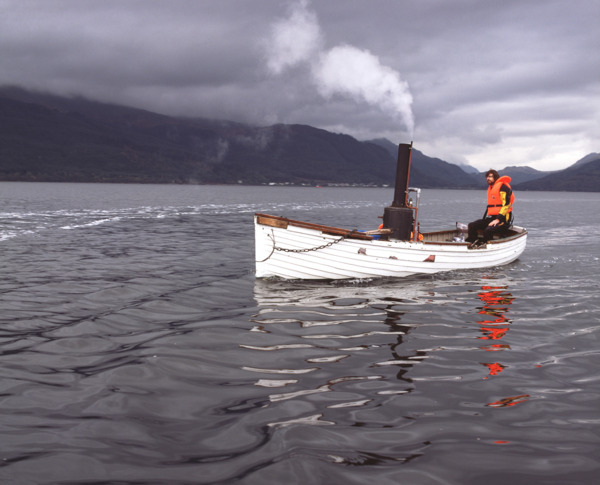 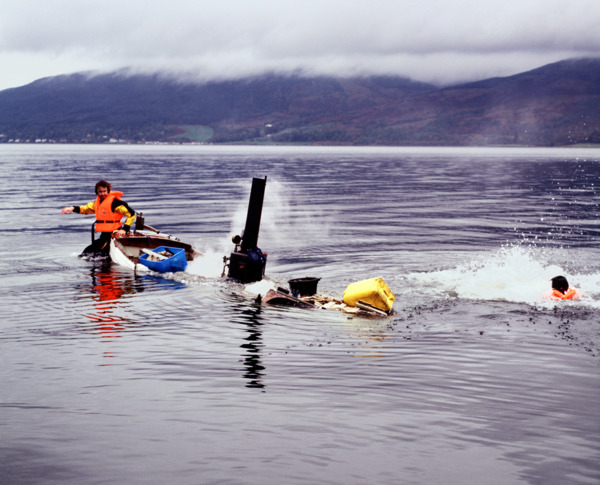 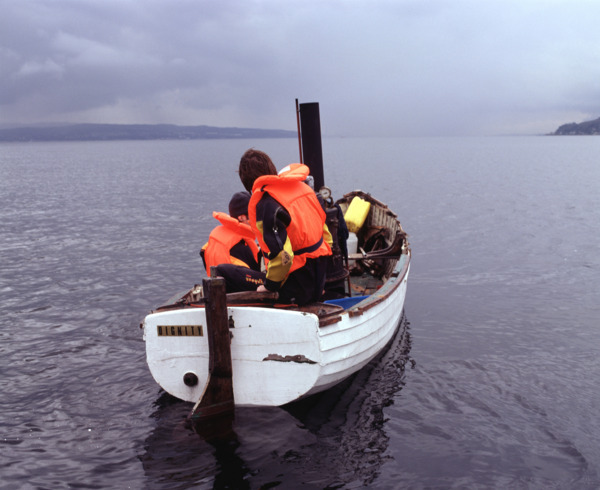 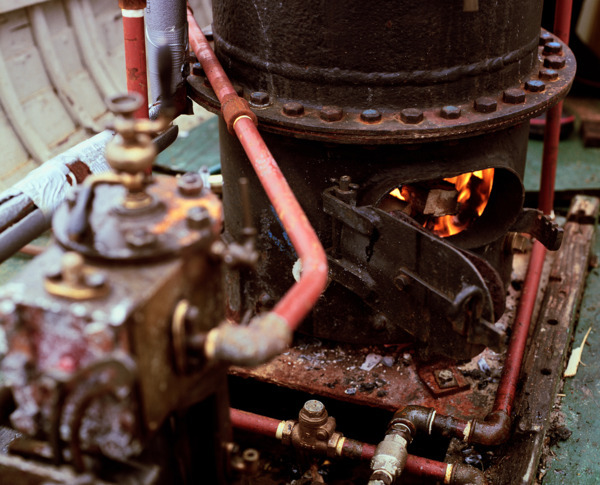 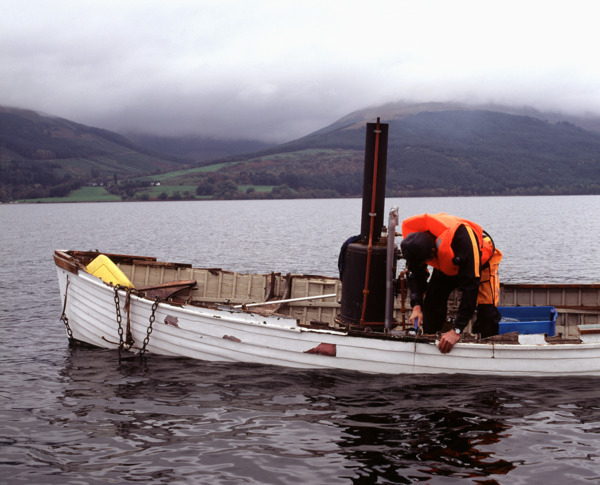 Autoxylopyrocycloboros was a four-hour entropic voyage made across Loch Long on a small wooden steamboat fuelled by wood cut piece-by-piece from its own hull. 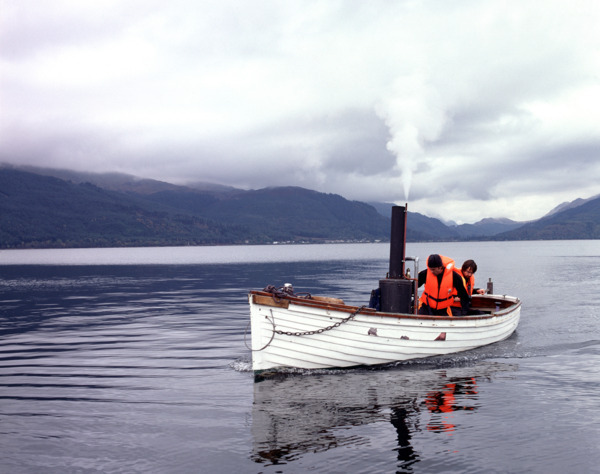 This work was born out of the very peculiar history of Loch Long: birthplace of the steamship, and home to its distant cousin, Trident, the increasingly decrepit, steam-powered nuclear submarines. 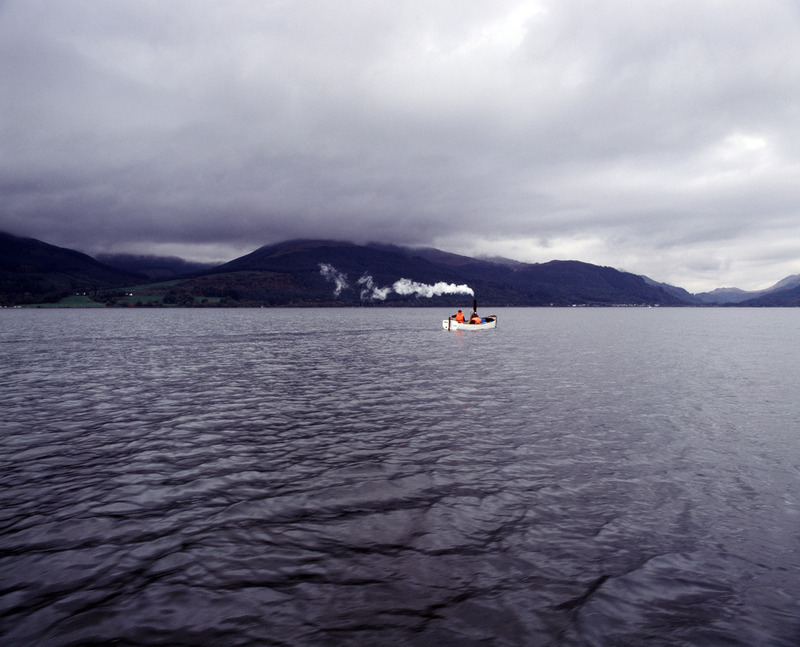 While this is the deepest finger of the Clyde Estuary and one of the most picturesque corners of Scotland, its mountains are hollowed out in places to contain and conceal a nuclear arsenal, and its shores are still inhabited by an infamous peace camp.This fluctuating community of protestors have kept the secretive activities of the Faslane and Coulport naval bases firmly in the media’s glare for over thirty years, chivvying their way under the Navy’s skin. 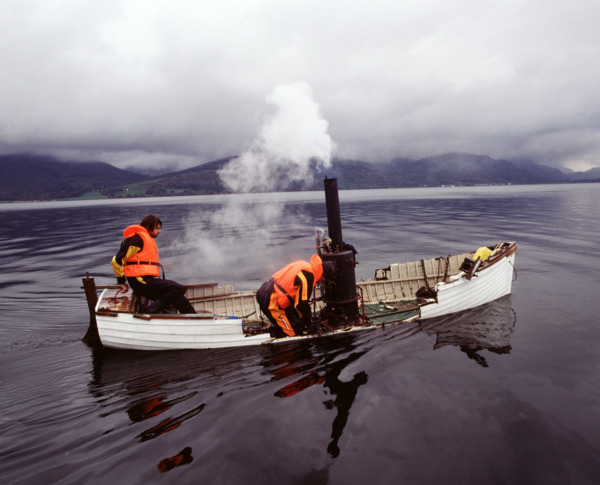 The title Autoxylopyrocycloboros is an extrapolation of ‘Ouroboros’, the mythical tail-eating serpent and symbol of eternal rejuvenation. 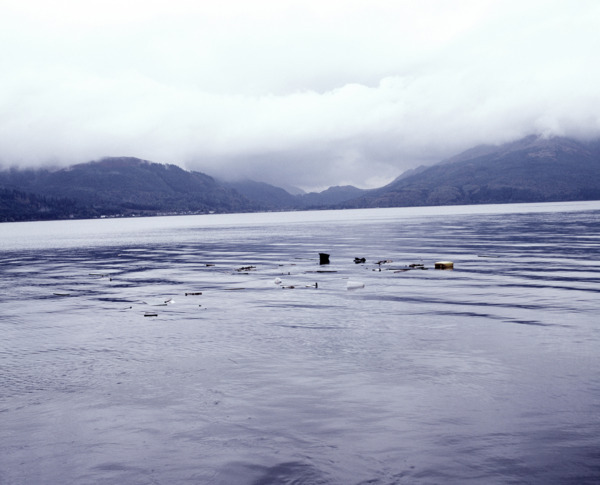 Like its rhythmically collaged title, this project evolved from a number of diverse sources: an interest in local protest culture, violent scenes from classic cartoons such as the unending abuses of Tom and Jerry combined with a passion for defunct technologies, a love of the tragicomic works of the 1970s conceptual fall guy, Bas Jan Ader, and the ‘an-architecture’ of Gordon Matta-Clark. 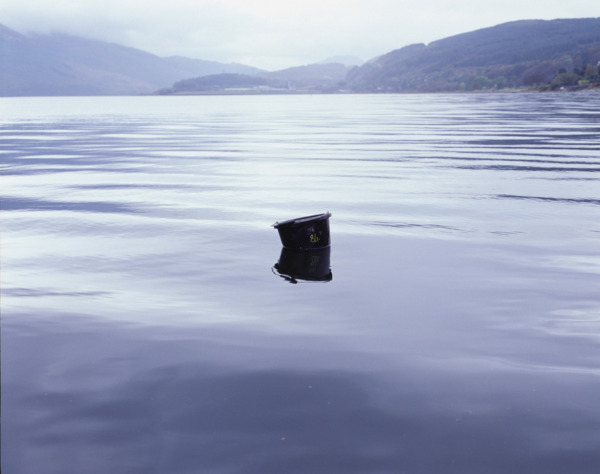 These interests lead to the self-destructive journey and its inevitable conclusion in the submarine-infested waters of Loch Long.